Is there anything as alluring as something you can’t get your hands on? Case in point, Colour Pop cosmetics. There are hundreds of gorgeous products just out of reach of the UK … leading us to pine over them from across the Sea. Yeah, until I realised you could use a shipping service (I used Shipito and it was fine, no customs, but a little slow) and then I was $30 lighter but had this parcel of deliciousness winging its way towards me. To be honest, I was so excited when I ordered I didn’t even pay that much attention to what I got. I did obviously make room for three new liquid lipsticks (I need matte lips rehab probably) and some other pieces I had had my eye on. So what did I get? 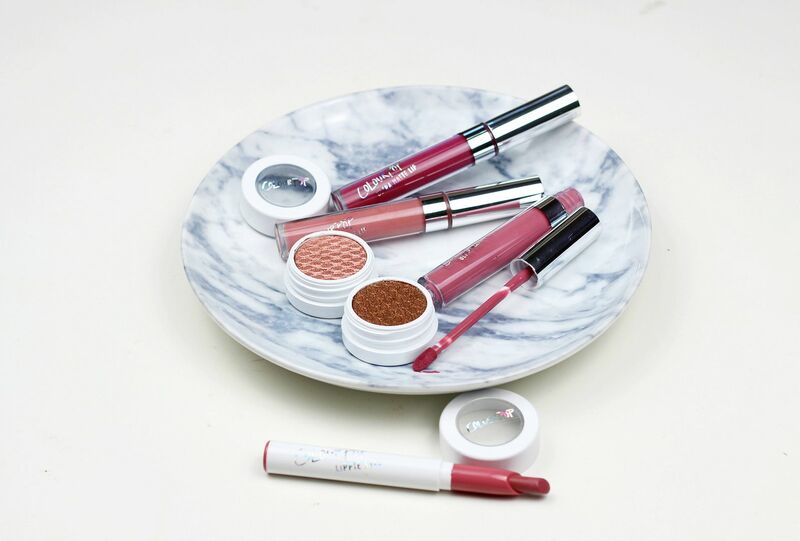 Obviously some of the ultra matte lipsticks – Bianca, Are & Be and Lumiere 2. 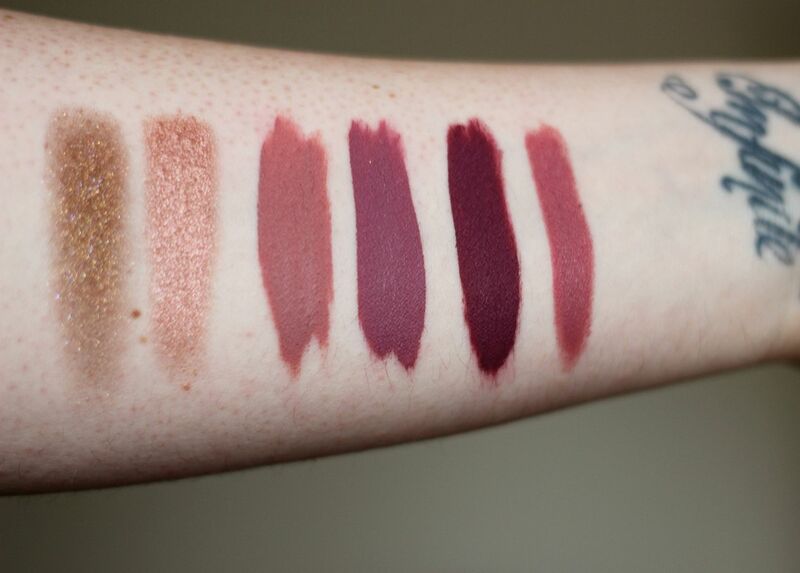 These were the three shades that stood out to me the most, and the tone on all of them is pretty similar – they’re all cool-toned mauve inspired shades. Also went for the Lippie Stix in Lumiere, which is also pretty similar. Oops. I went for two of the eyeshadows in Weenie and On the Rocks – I have been so surprised by how good these are. I was expecting them to crease, but they are so long-lasting and the texture is unlike anything else I have ever tried. In the photo above, from left to right it is On the Rocks, Weenie, Bianca, Lumiere 2, Are & B, Lumiere. The liquid lipsticks are definitely drying. With Bianca I had to put lip balm on by 11am, which is my sort of test. I would say that I don’t think they’re consistent formula wise within the line – some seem more drying than others.